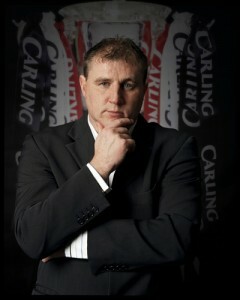 Paul Jewell is arguably the most successful manager Wigan Athletic have ever had. Other managers in the past have won more silverware certainly, but winning non-League championships cannot compare with getting the club into one of the top leagues in the world. Paul was born in Liverpool on 28 September 1964. His first love was for Liverpool and he signed as an apprentice for the Anfield club. He never made it into the first team, which at the time was at the height of its power. In 1984 he came to Springfield Park and made his League debut on 22 December 1984 when Latics drew 3-3 with Rotherham United. He scored his first goal on New Year’s Day 1985 at Turf Moor helping Latics to a draw and 4 days later scored at Stamford Bridge in an FA Cup tie against Chelsea. 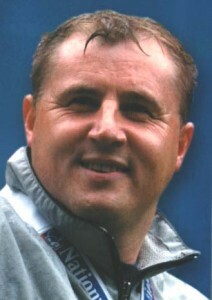 The programme for the replay against Chelsea had a feature on Paul Jewell saying “on-loan striker Paul Jewell certainly made his presence felt in our recent games”. It went on to describe him as “the Liverpool goalscorer who hit nearly 30 goals for the Anfield reserve side last season” and said “Jewell could turnout to be a real gem”. A pun seen many times since. On 1 June 1985 he was on the bench when Latics went to Wembley and won the Freight Rover Trophy, and netted 15 goals in the 1986/87 season, including the winner in the FA Cup tie that knocked First Division Norwich City out of the Cup. Latics went on to the Sixth Round of the Cup that year, losing finally to Leeds United. It is interesting that Paul along with Alex Cribley (physio) and David Lowe (coach) all played in that game. Seventeen years later they took a Latics team to Elland Road, and victory!! While at Springfield Park he made 117 League appearances plus 20 as substitute, scoring 35 goals. 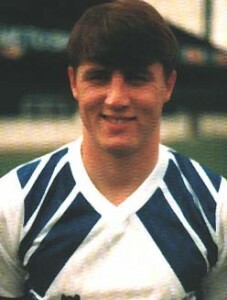 Paul moved on to Bradford City for £80,000 in July 1988 and he played for seven seasons in 251 games and scored 53 goals. 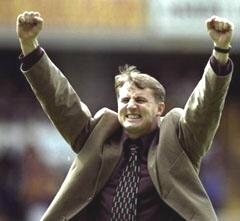 Paul moved into coaching and at the end of 1997 was asked to take charge of Bradford City, replacing Chris Kamara as manager.Paul’s career soared as he was awarded the Football League Division One Manager of the Month award in December 1998, and then at the end of the season took the Bantams into the Premiership. 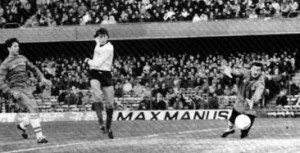 That task was difficult, but he went one better the next year when a final day single goal triumph over Liverpool at Valley Parade kept Bradford in the Premiership for a further season. Paul’s celebration has gone into footballing folklore. Weeks later he resigned from Bradford following a disagreement with Chairman Geoffrey Richmond. 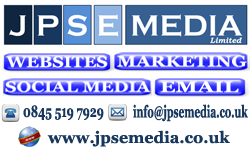 He moved on to a greater challenge – restoring the fortunes of Sheffield Wednesday. Lack of funds and an extensive injury list made this task nearly impossible, and in February 2001 he lost his job. Steve Bruce was manager of Latics at the time but controversially walked out on the club to take the reins at Crystal Palace (who he then left soon after for Birmingham). Dave Whelan, with a track record of not really having great patience with managers, appointed Paul Jewell as manager. And that’s where the fairytale begins. In his first season Latics could only manage 10th place in the table, but Paul’s rebuilding of the team was taking place, and the Chairman held faith with the young manager. This paid off in spectacular style as the team stormed to win the Second Division title with 100 points. While many expected consolidation to be the name of the game in the First Division this was not the case as Latics took top spot early in the season, and only just missed out on a play-off place with a heart-breaking last minute goal by West Ham on the final day. One notable moment was the warmth of the reception he received from the home fans at Valley Parade when Wigan visited Bradford in March 2004. 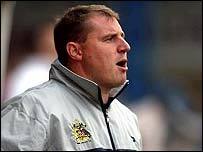 In 2004/5 Paul finally achieved what he had been brought in to do and got Latics into the Premiership, despite the views of many so-called experts in the game. He is a realist, who refuses to get carried away. “You got nothing for being top in December” is an often quoted saying of his. He often talks in clichés and some of his utterances needed an interpreter around Wigan. But he was the hero of the time. He did it with unfashionable Bradford. He did it again with Latics. He got us from the old Second Division, into the Premiership, and kept us there – in the top half. He got us to a major Cup Final. Ultimately – as is the wont with managers – he perhaps ran out of steam, and took us as far as he could. After a heart-stopping second season in the Premier League that went down to the last day with a win at Sheffield United he resigned the day after, Chris Hutchings again as at Bradford taking over as manager. A few months out of the game recharged his batteries, and in November became manager of beleaguered Derby County, rooted to the foot of the Premier League. 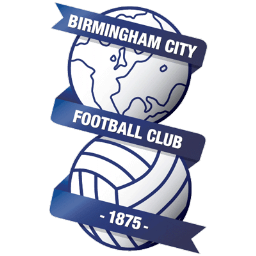 Unfortunately it was to be no fairy-tale as he was unable to save them and relegation to the Championship started badly (his first win as manager of Derby came in September 2008, 10 months into the job) and at the end of December 2008 he again resigned, again being followed as manager by Chris Hutchings.